The depolymerization of polycarbonate (PC) into bisphenol A (BPA) is performed by defective xCaO/Ce-SBA-15 nanocomposite assisted by plasma treatment. For such composite catalyst, CaO and CeO2 particles are finely encapsulated into the tubular SBA-15 without leaching or aggregation occurring. Abundant oxygen vacancies are generated from the doping of Ca and Ce atoms into the lattice of SBA-15 composite via the plasma surface engineering, entrusting strong basic sites to such mesoporous composite. 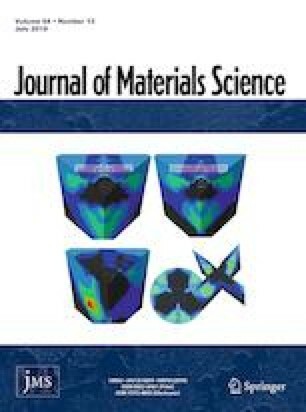 The interface interaction between Ca and Ce with defective dimensional support materials predominated to generate maximum basic sites is of critical importance in tailoring the BPA yield. CaO/Ce-SBA-15 with rich oxygen vacancies and rough surface creates rich basic sites to achieve the high efficiency of PC alcoholysis and durable repeated cycles. Meanwhile, the synergistic catalysis between CaO and CeO2 is achieved, while SBA-15 with smaller disordered pores and fine connectivity between adjacent large pore channels enables a good dispersity of such xCaO/Ce-SBA-15 composite and finely prevents the leaching of Ca and Ce particles. Additionally, the high-density defects from the substitution of Ce by Ca and Si atoms as well as the plasma treatment play active basic sites during PC adsorption and activation. Such graft also leads SBA-15 itself becoming a solid base. Hence, the superior of PC depolymerization and superior durability are obtained due to the composition synergistic effects and rich abundant basic sites. It is noted that the abundant Ca on ceria surface provides affluent electrons, which makes decreased Ce valence in CeO2 subsurface and elevation of basic sites. This work explores the generation of tunable basic sites for SBA-15 and is instructive for fabricating desirable multicomponent catalysts composed of bifunctional non-novel catalyst for heterogeneous catalysis with rich surface oxygen vacancies. The online version of this article ( https://doi.org/10.1007/s10853-019-03560-2) contains supplementary material, which is available to authorized users. This research was supported financially by the National Natural Science Foundation of China (No. 21805152, 51673106,), the Postdoctoral Natural Science Foundation of China (2018M640616), the Science and Technology Research Project of Shandong Province (No. ZR2018BB03).